Catherine Fagan is based out of Montréal and is a member of the Barreau du Québec, the Law Society of Newfoundland & Labrador and the Law Society of Manitoba. She works exclusively with Indigenous clients in the areas of Aboriginal law, constitutional law and environmental law. Catherine has particular expertise negotiating self-governance agreements, as well as various types of environmental agreements, including the creation of parks and protected areas. Catherine works extensively with her clients to develop laws, particularly in areas of governance, environmental protection, land use planning and housing. She is especially interested in working with communities to revitalize their traditional Indigenous laws and to incorporate them into modern legal structures. Catherine has worked on cases at all court levels, including several Supreme Court of Canada cases. She is experienced in treaty compliance, Aboriginal rights and title claims, requirements to consult/obtain consent for resource development projects, endangered species and forestry. 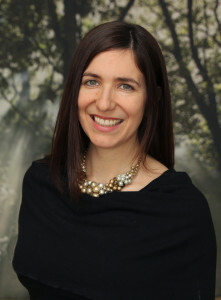 She has also volunteered for many years with Lawyers Without Borders Canada, working particularly with Indigenous nations in Central and South America. She previously worked with the United Nations Secretariat for the Convention on Biodiversity, as well as the Maori Waikato-Tainui Tribal Council in New Zealand. Catherine works in both English and French. She is a member of the Inuit community of NunatuKavut in Labrador.